Nusa Dua Bali is one of the most prestigious tourist destination in the world. 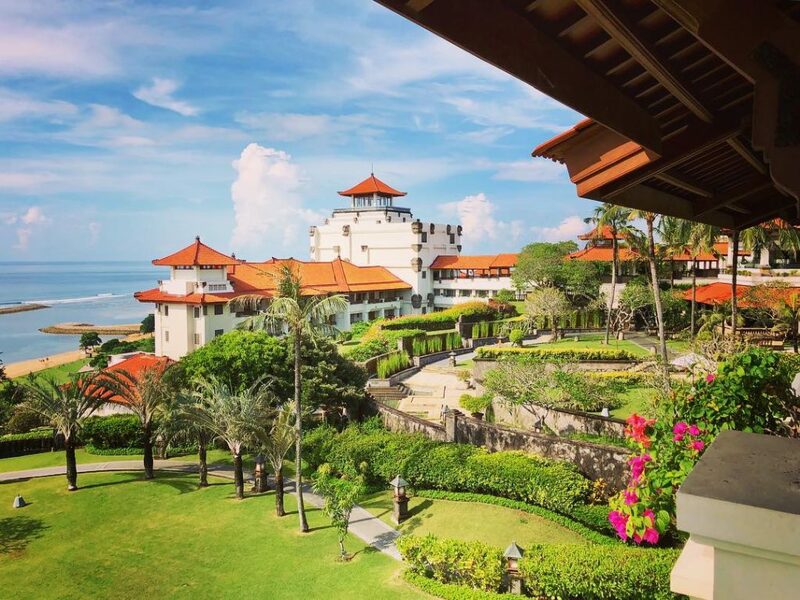 Along with Kuta, Sanur, and Seminyak, Nusa Dua is littered with many prestigious five star hotels and resorts. You will find no shortage of luxurious rooms along this stretch of beaches. 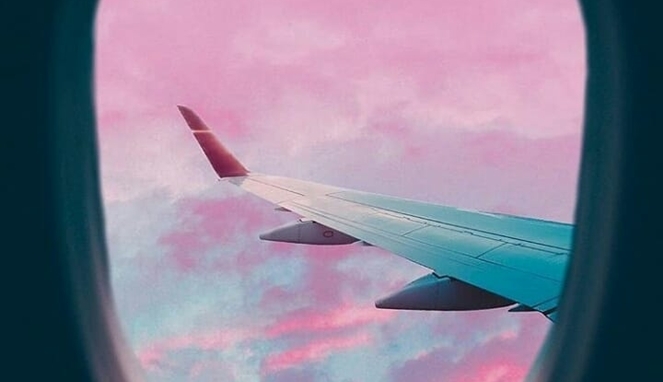 However, finding a great resort with reasonable price can be a bit challenging. 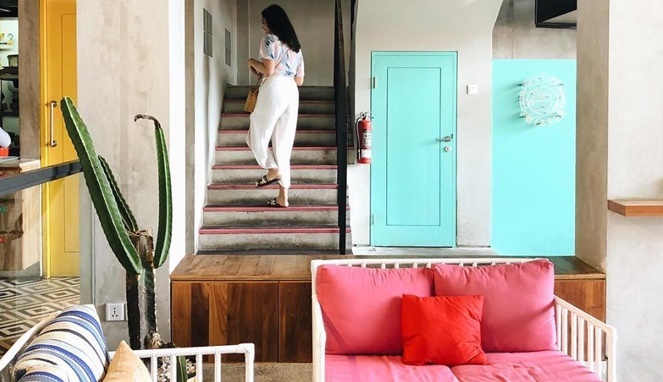 If your budget for your room is under $200 a night, we have compiled the list of the best beachfront resorts you can find in Nusa Dua. 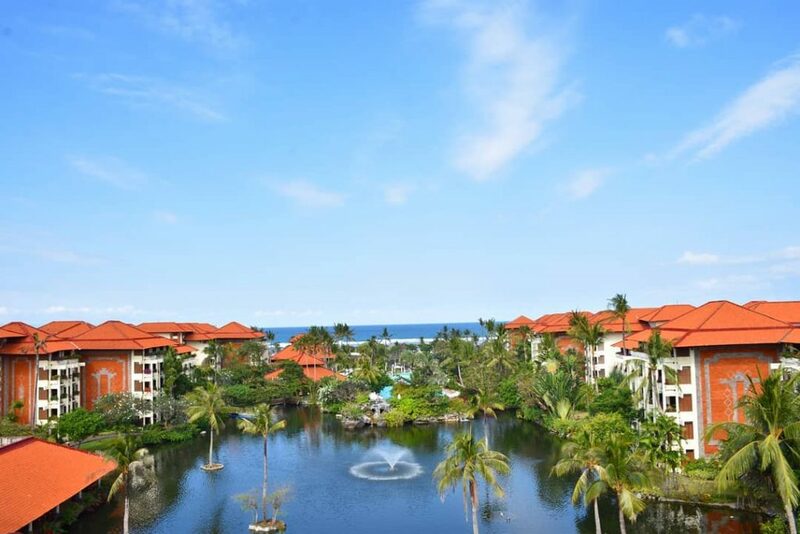 This five star resort is only a half hour away from Ngurah Rai International Airport. Ayodya Resort Bali offers several great rooms and suites, some have private balconies with wonderful view of lovely garden, pool, and lagoon. The room feel exquisitely natural with teak and hardwood flooring and furniture. Needless to say, each room is equipped with flat screen television and air conditioning. Rates at Ayodya Resort Bali starts from USD108. This resort is popular among those who love water sports. 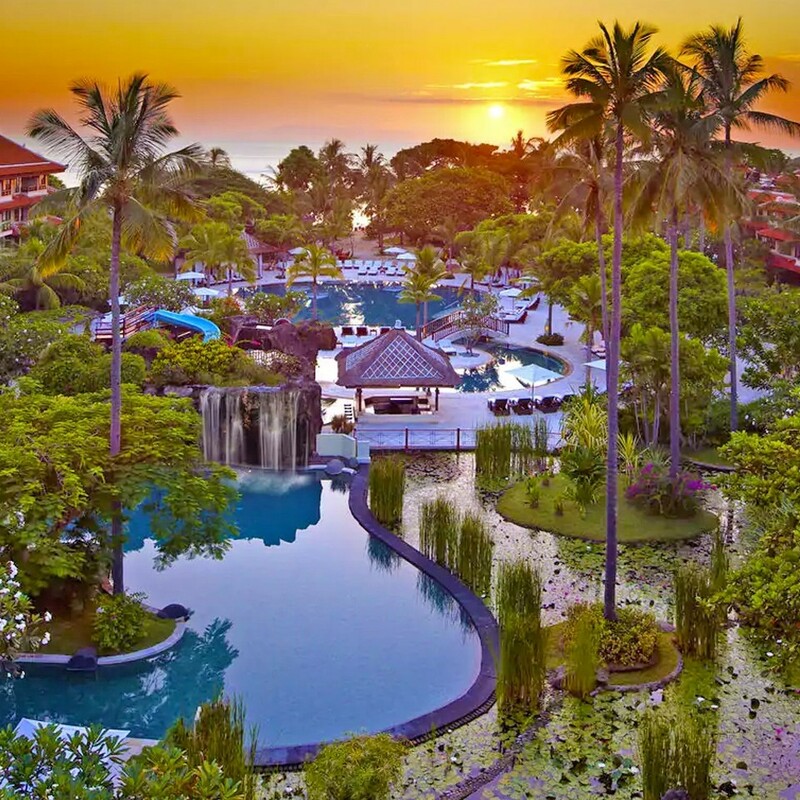 Conrad Bali it’s located on 6.8 hectares of Tropical Paradise, directly connected to the lovely white sand beachfront of south Bali. This five star resort is one of very few luxury accommodation that has multiple swimming pools in its premises. Rates at Conrad Bali starts from USD136, quite reasonable considering there are only 353 guestrooms in this resort. 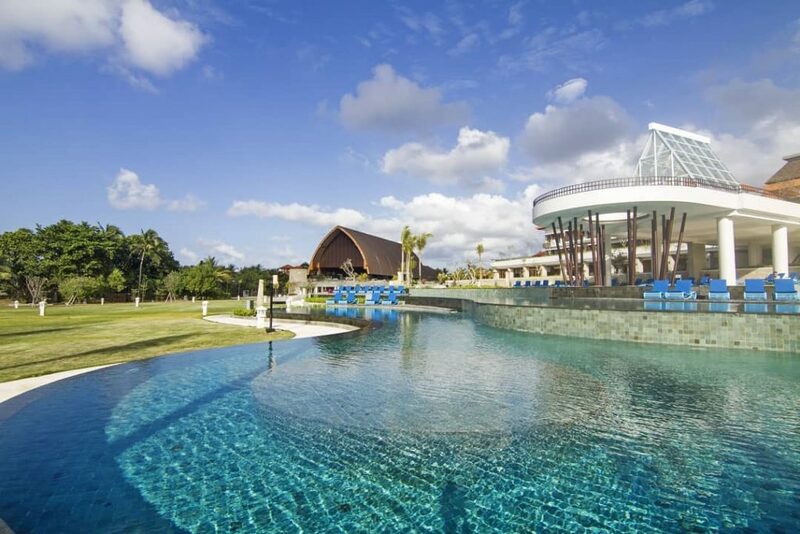 This is the first Sofitel Hotel that is built in Nusa Dua area. 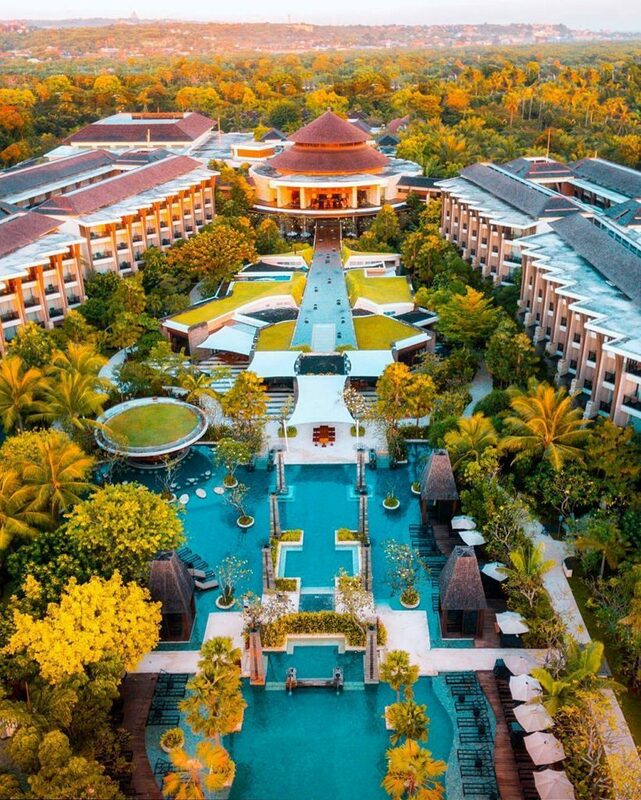 Located at the northern part of the exclusive Nusa Dua complex, this Resort is accessible from many Bali landmarks. Only half an hour away from Ngurah Rai International Airport, Sofitel is also close to Tanjung Benoa, the center of Bali water Sports. 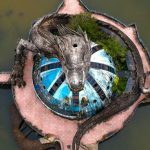 This hotel is also in close proximity with a lot of malls, theaters, and nightclubs. Cleats at Sofitel Bali Nusa Dua Beach Resort starts at USD196. 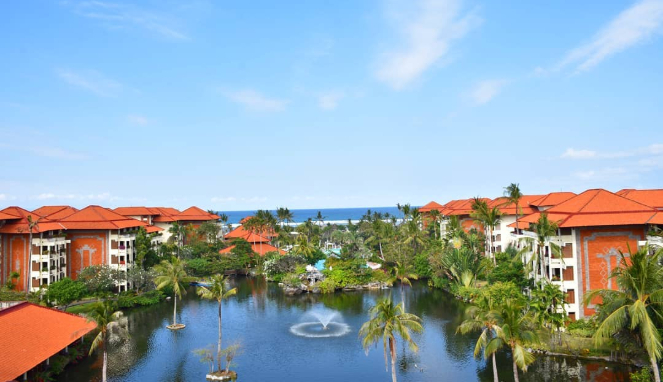 Located just 12 kilometers away from Ngurah Rai International Airport, Inaya Putri Bali is within a gated resort community in upmarket area of Nusa Dua. This five-star resort was designed to blend seamlessly with the natural surroundings while still embracing the local Balinese architecture. This resort has 460 smoke-free rooms, many of them have access to pool, private balconies, and gardens. 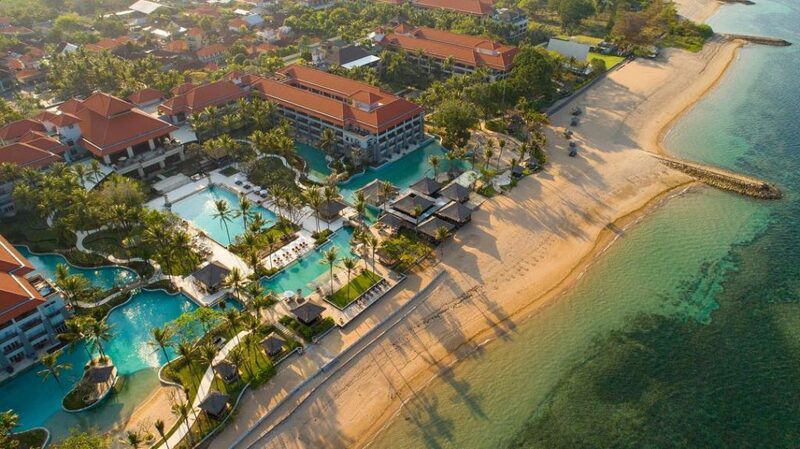 Nusa Dua Beach is only six minutes’ walk away from this resort. Rates at Inaya Putri Bali start at USD152. This hotel is located on two ‘tiers’. The upper part is located on a 40 meters cliff while the lower part is connected directly to the beach. This five-star hotel is also surrounded by lush green forest on the upper part, giving the sense of private and exclusivity. Each room and villa has contemporary style with marble-tiled bathroom. Some rooms have private balconies where you can see the open sea. Rates at Hilton Bali Resort start at USD102. 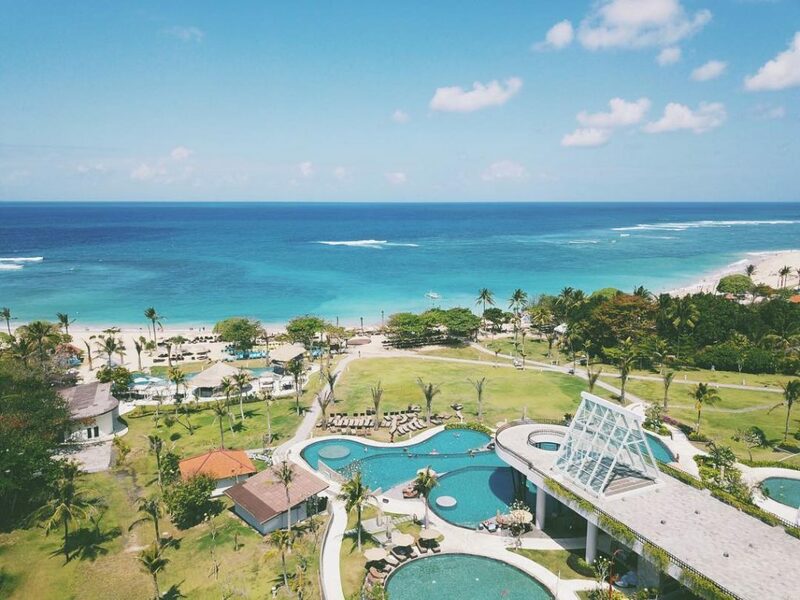 There are 433 smoke-free room in this resort, along with six restaurants, full service spa, and two outdoor pools. Childcare is available, including free cribs, playground, children’s pool and children club. 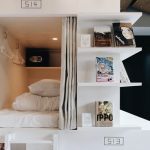 Indeed, one of the best room in this resort is the Family Suites that is 114 square meters large, providing ideal resting space after a day of adventure. Rates at The Westin Resort start at USD122. 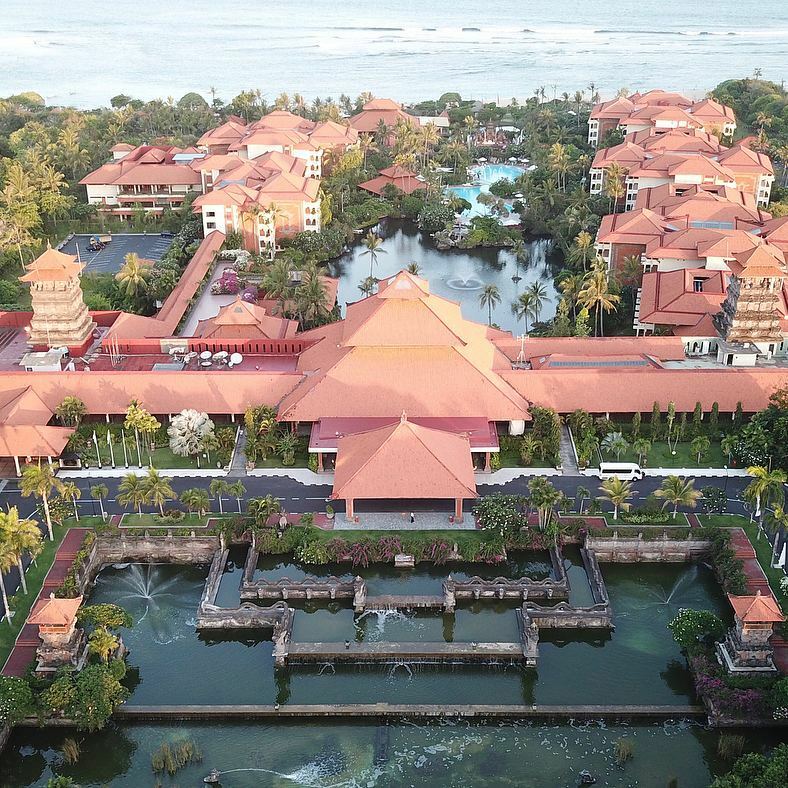 With 287 guestrooms, this resort is not the biggest one in Nusa Dua. However, it also has winery, three restaurants, three bars, seven outdoor pools, and full service spa. The Laguna Resort is also the first to have swimmable lagoon on Bali, with man-made waterfalls and lovely garden. The overall ambience in this resort is romantic, making it ideal for honeymooners. Rates at The Laguna Resort Bali start at USD131. 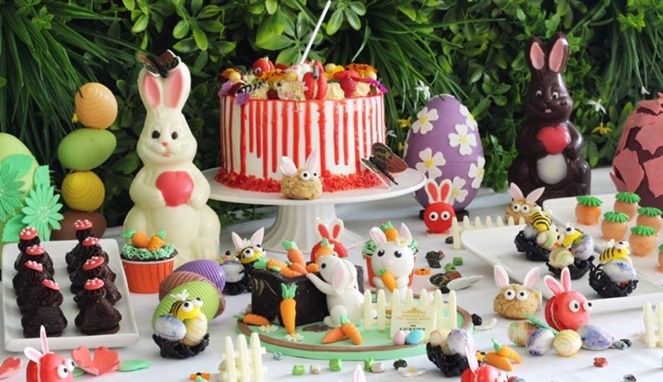 Apart from having top notch facilities, all resorts in this list also has five-star dining venue. Needless to say, you’ll also have an access to the private beach. Living at these hotels also give you an easy access to most of Bali’s most popular landmarks.